As a chemical manufacturer, SNP continuously improves our business practices to help the environment. 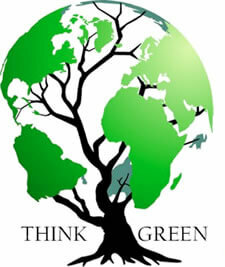 We are dedicated to recycling and resource conservation. How serious are we? We did not wait for the government to create regulations that pushed businesses to find smarter, more environmentally friendly alternatives. Instead, we took the initiative to make most of our products using natural polymers, such as seaweed extract (sodium alginate), biopolymer polymers from fermentation processes and gums extracted from roots and plants from around the world. As a result, almost all of our products are 100% natural and 100% biodegradable. We know that conserving the environment requires smart business practices, and we make every effort to avoid wasting natural resources. Recycling and resource conservation are keys to our business objectives. Our “Green Team” meets regularly to evaluate new and innovative ways for SNP to adhere to our mission to be a green company. By practicing these methods, we have set a positive example for other companies in the chemical industry.